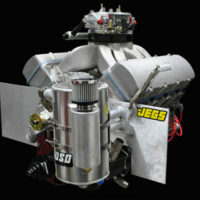 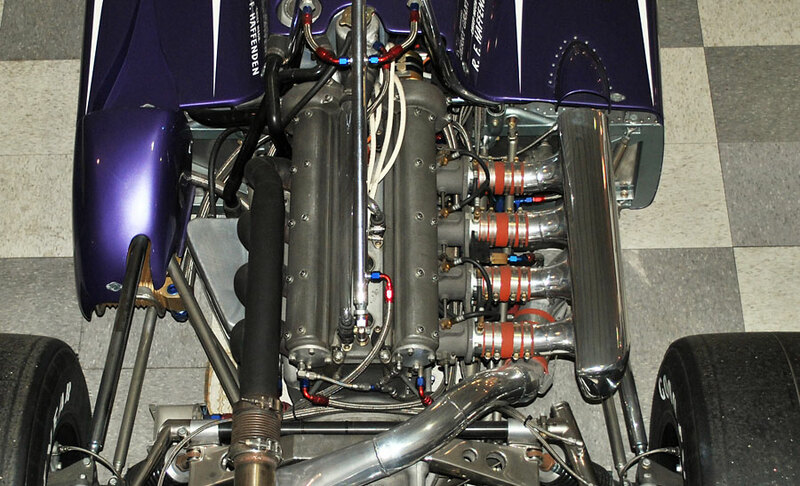 Sometimes it pays to step outside your personal space and take a look at what others have done and are doing with racing engines. 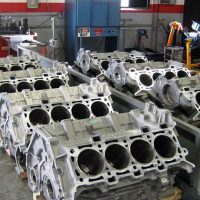 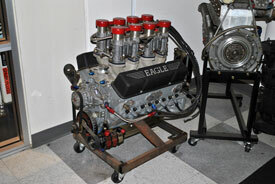 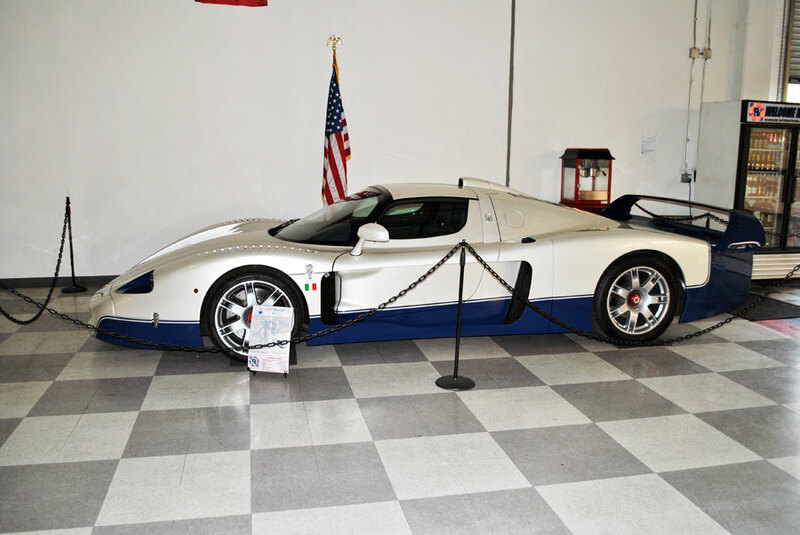 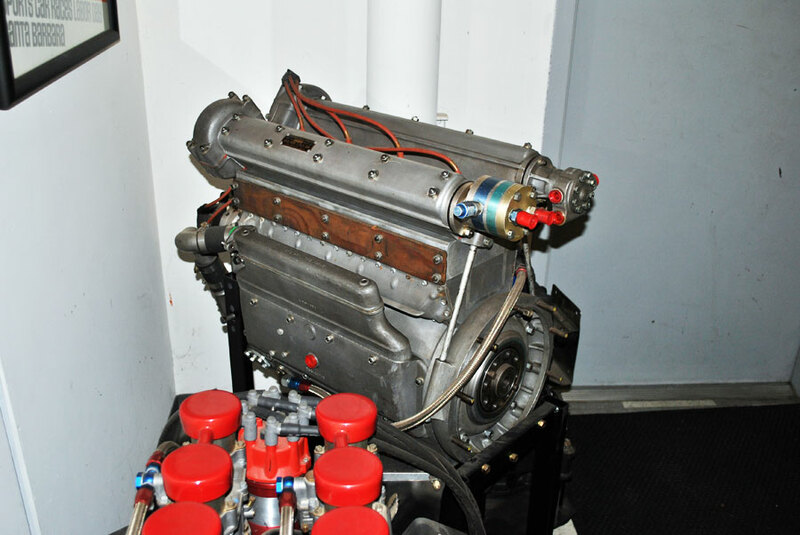 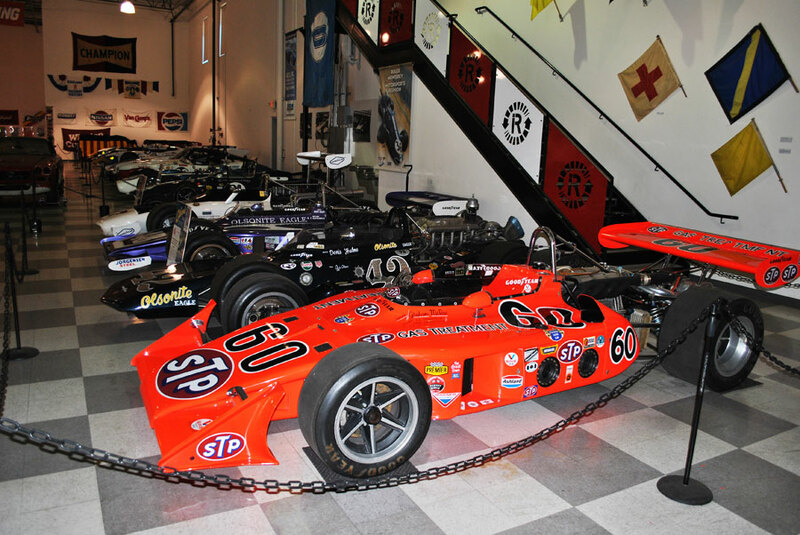 One particularly great source for gaining a close examination of famous racing engines is the Riverside International Automotive Museum in Riverside, California. 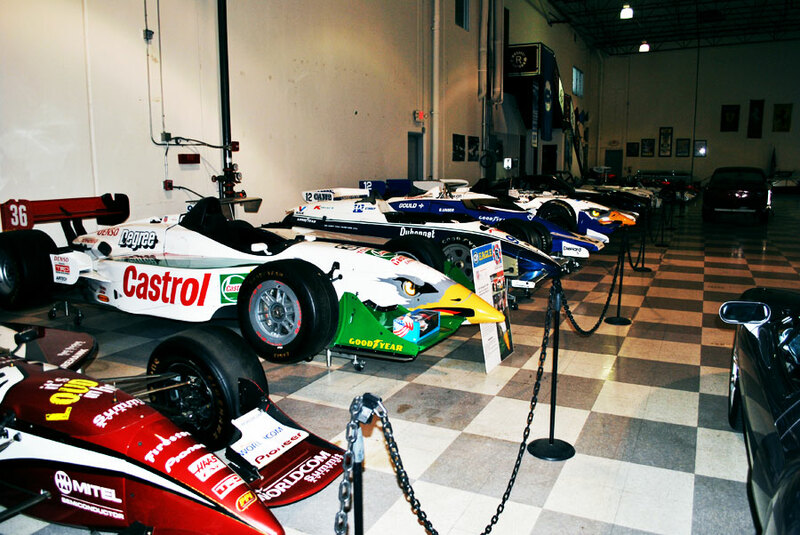 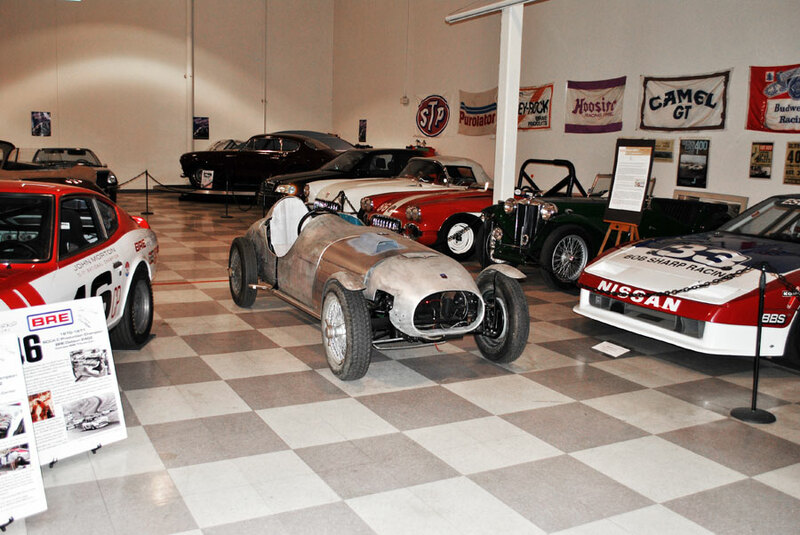 Based on the historical connection with the former Riverside International Raceway and featuring "The Legends of Riverside," the museum displays a great selection of legendary Indy cars and road cars , most of which are on permanent display. 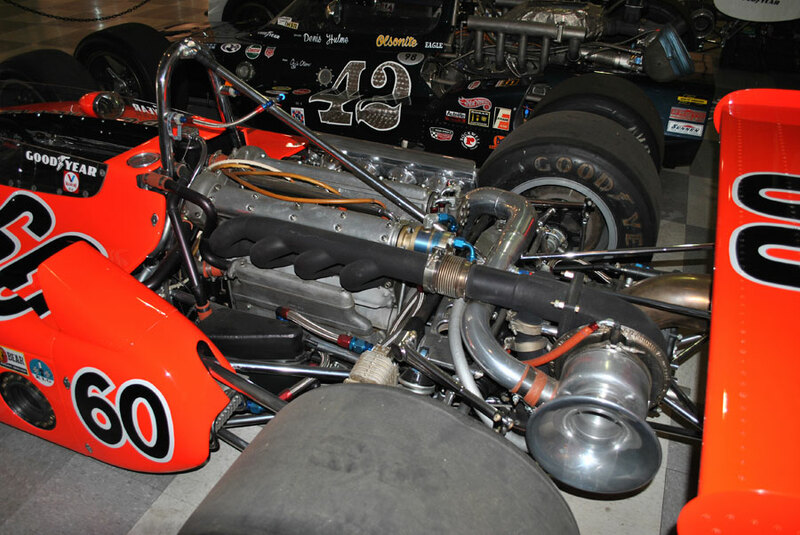 Those familiar with RIR will recall that from 1957 to 1988 it was one of southern California's premier motorsports arenas catering to various forms of professional road racing, NASCAR, sports cars and even drag racing. 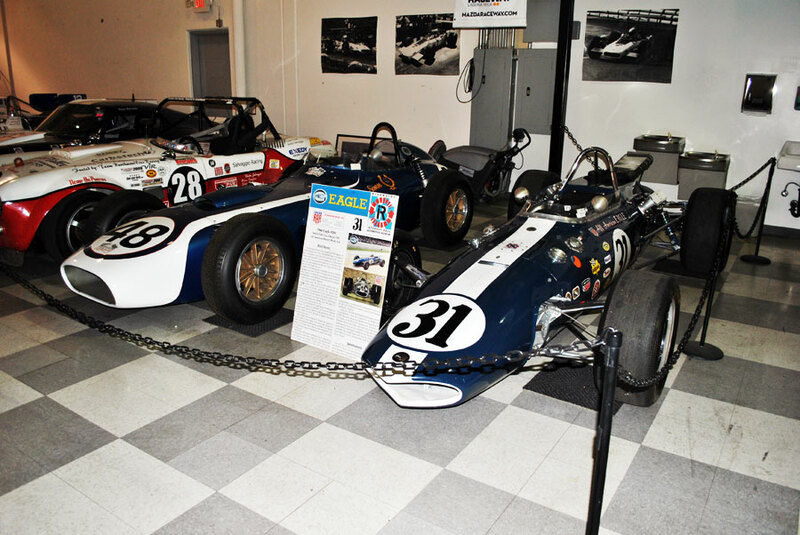 As noted in the museum's literature, it played host to some of the most notable racers in the world in a legendary setting where records were set or broken and careers, reputations and fortunes were won or lost. 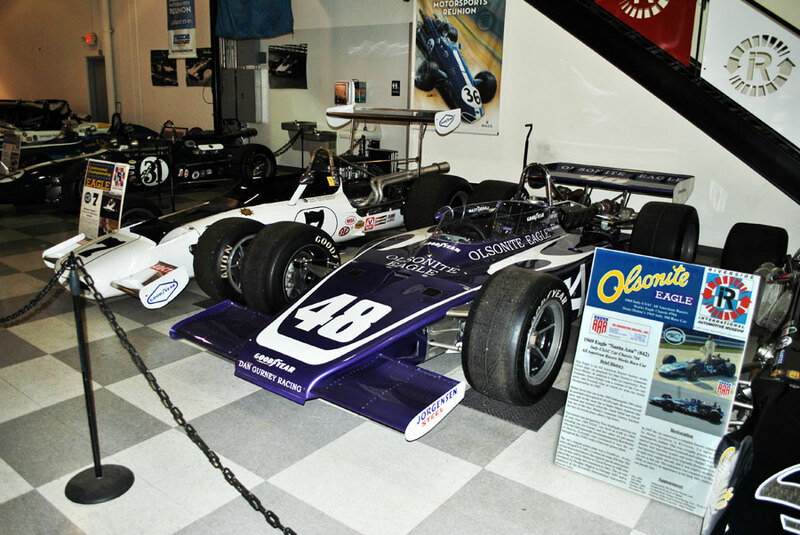 The museum also honors the former Ontario Speedway, a $25 million dollar motorsports showcase that operated locally from 1970 through 1981; ultimately failing due to poor management and ineffective support from local government. 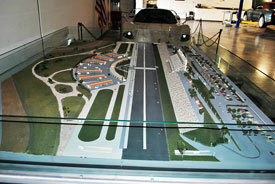 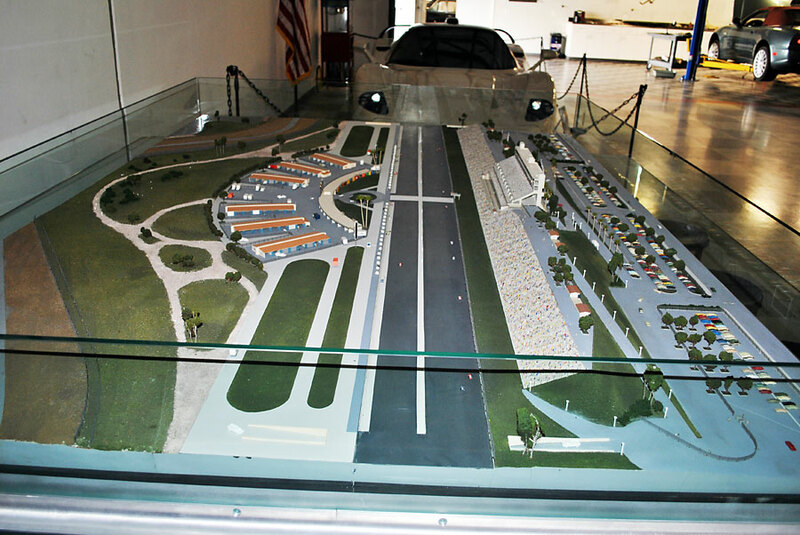 One of the feature attractions is a newly constructed scale model of the Ontario Speedway now on display. 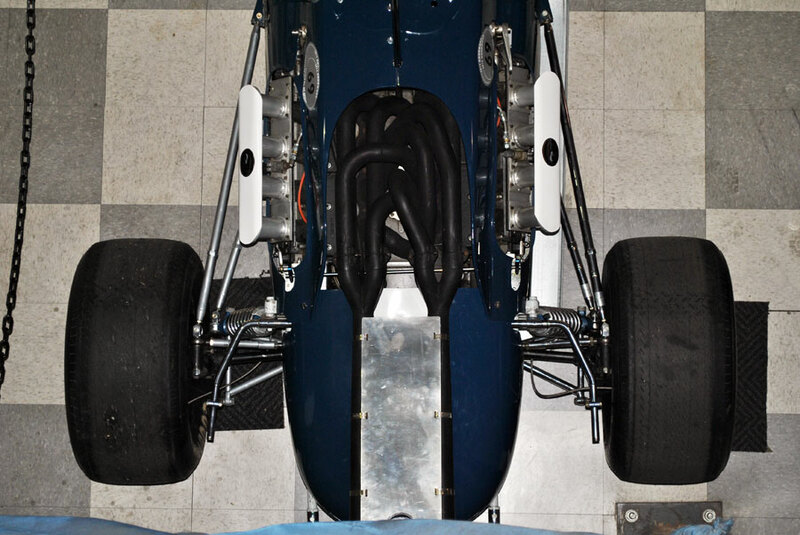 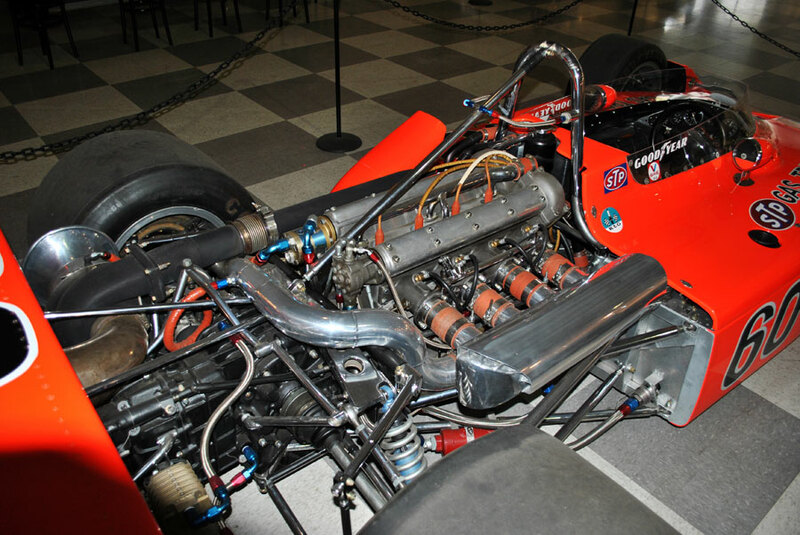 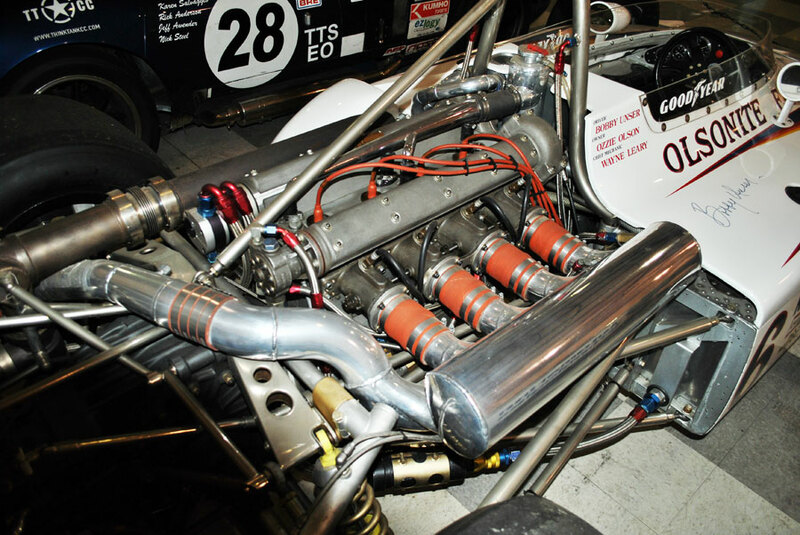 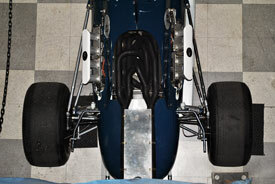 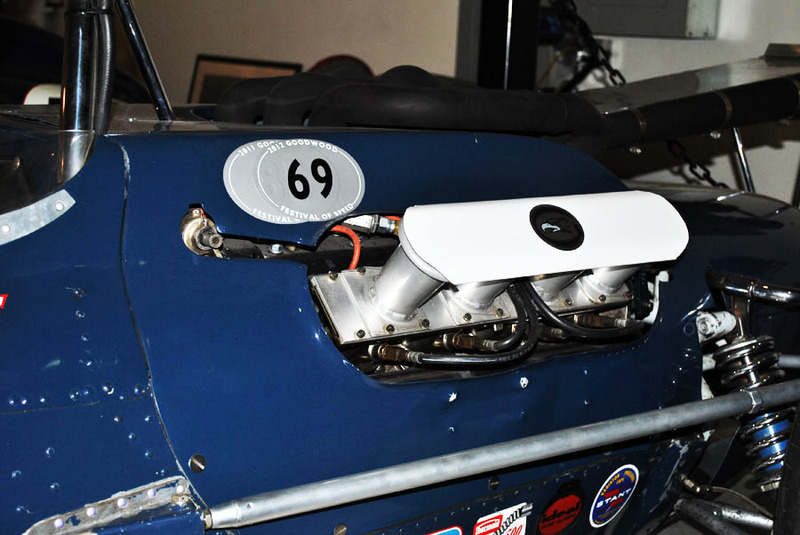 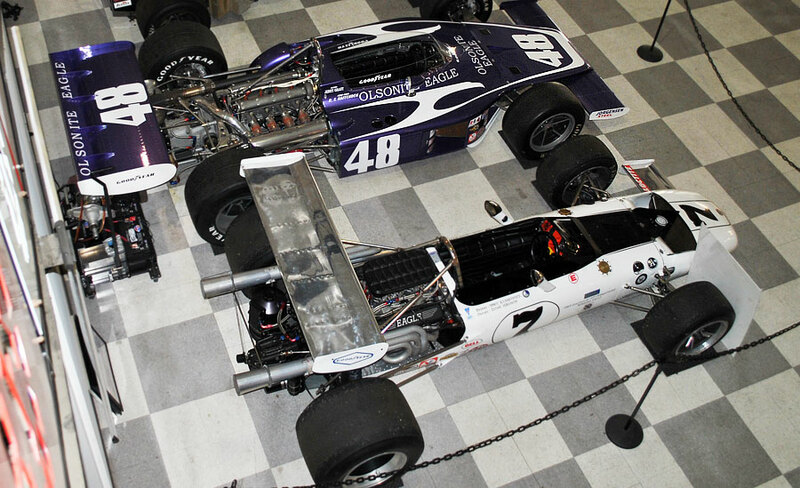 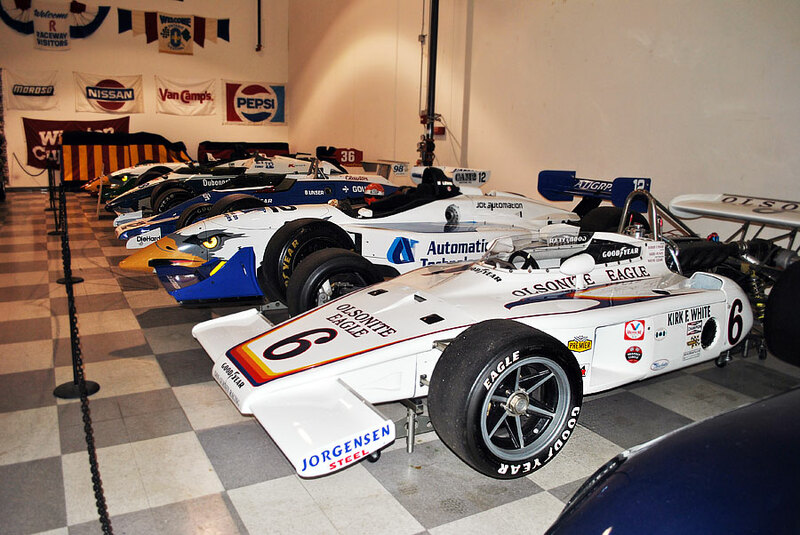 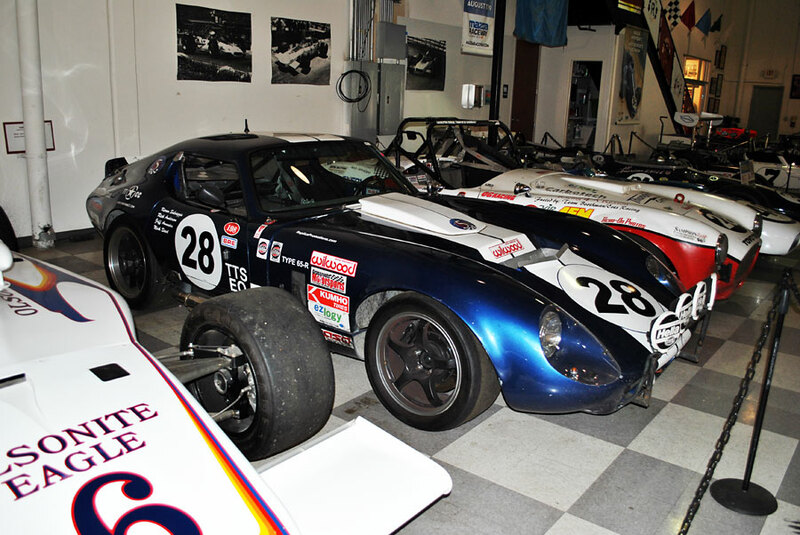 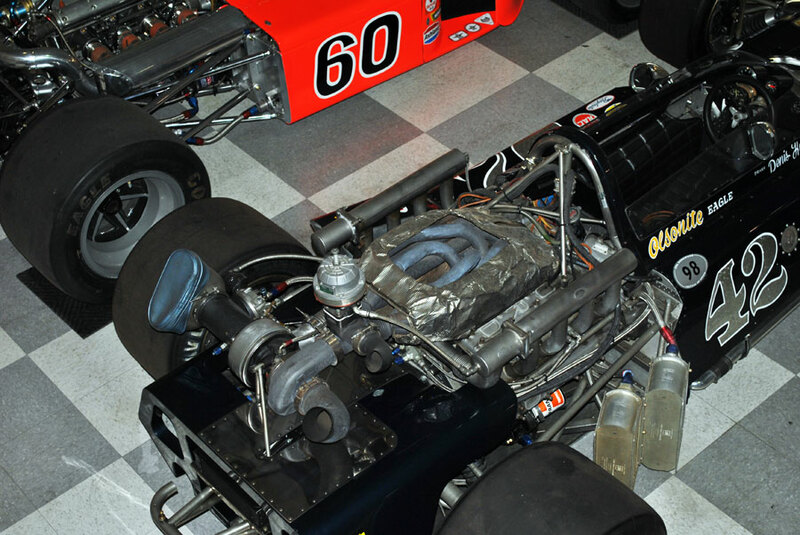 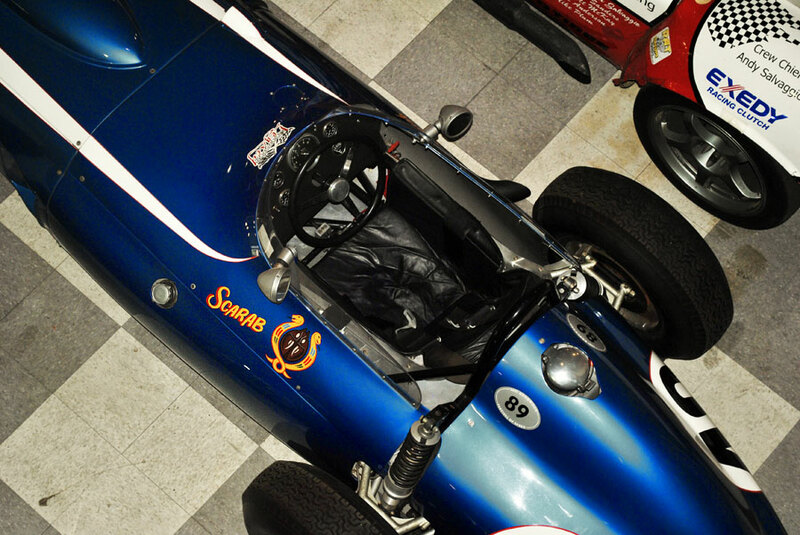 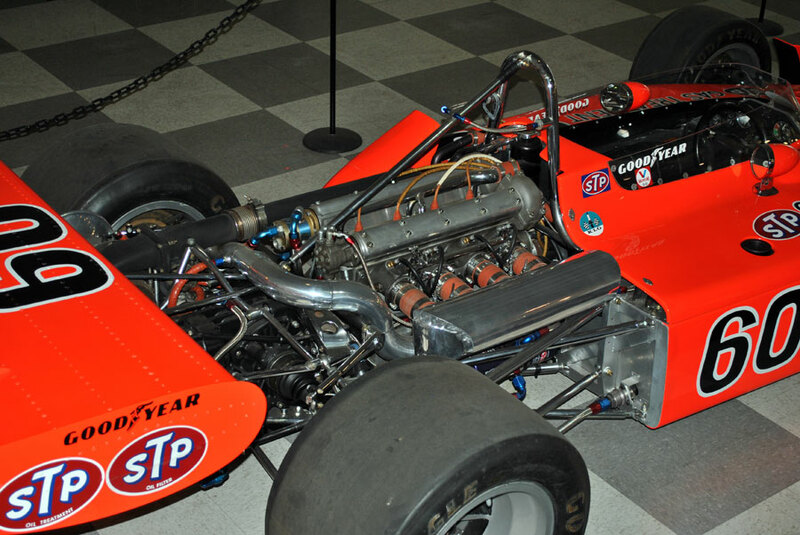 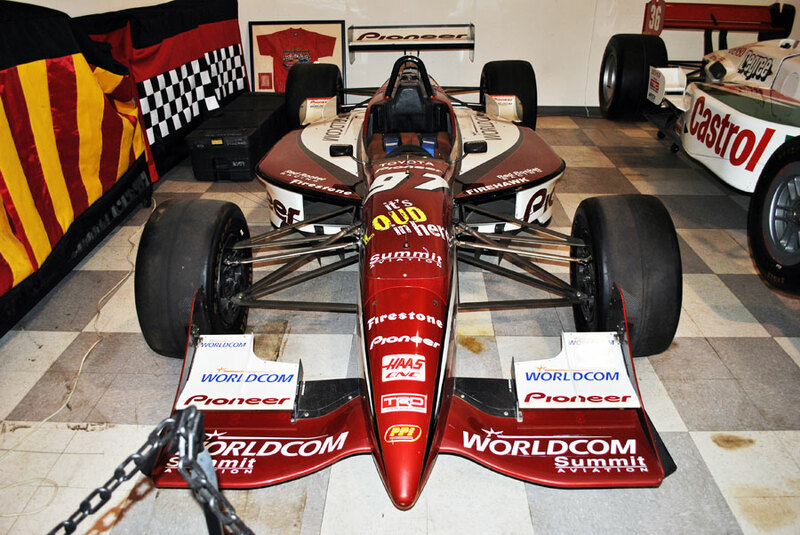 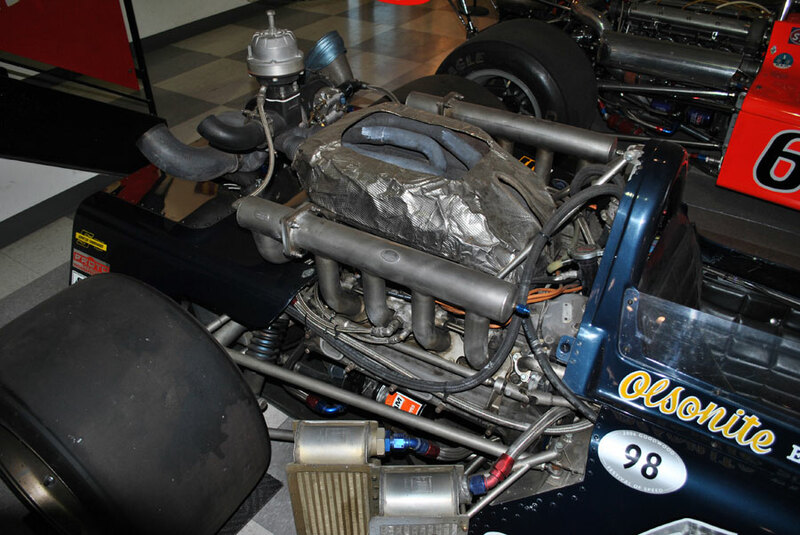 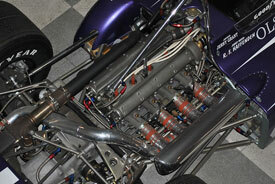 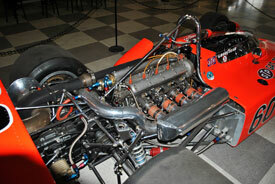 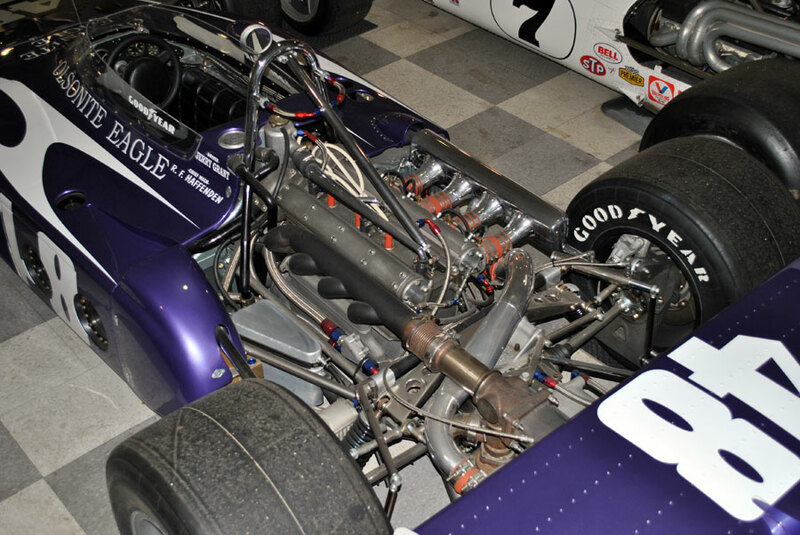 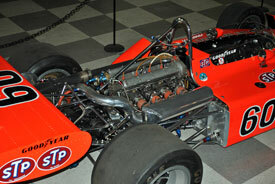 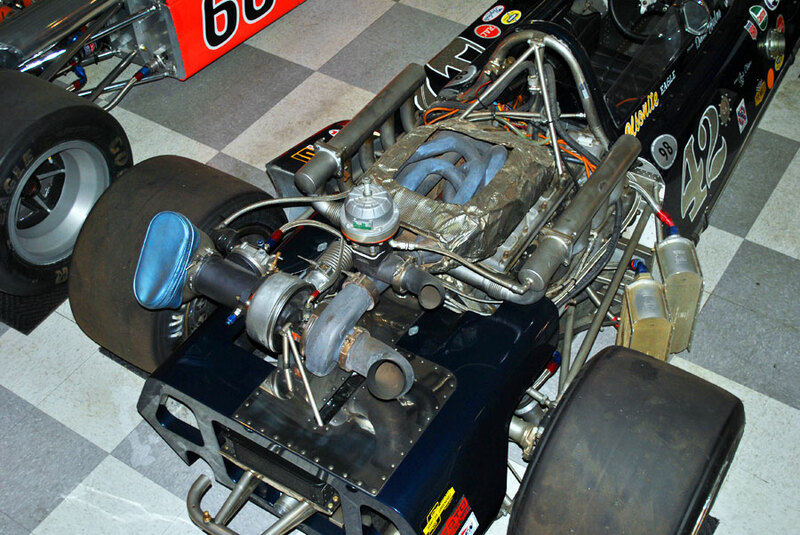 The museum collection incorporates a broad selection of sports, exotic and race cars in an open "up close" format that lets visitor view the details they long to see; particularly engine detail on the many open wheel race cars. 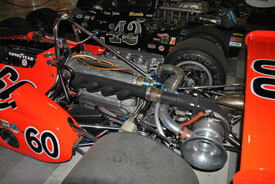 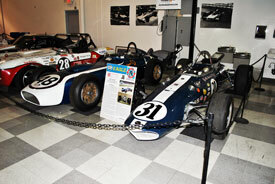 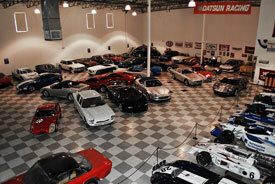 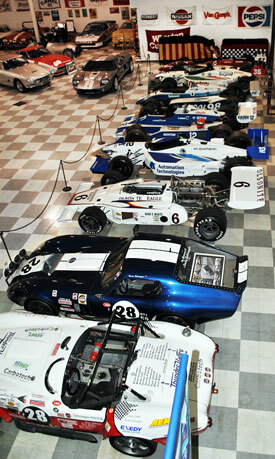 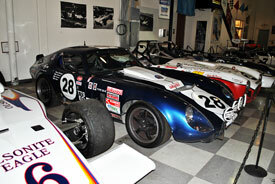 The permanent collection features the following race cars. 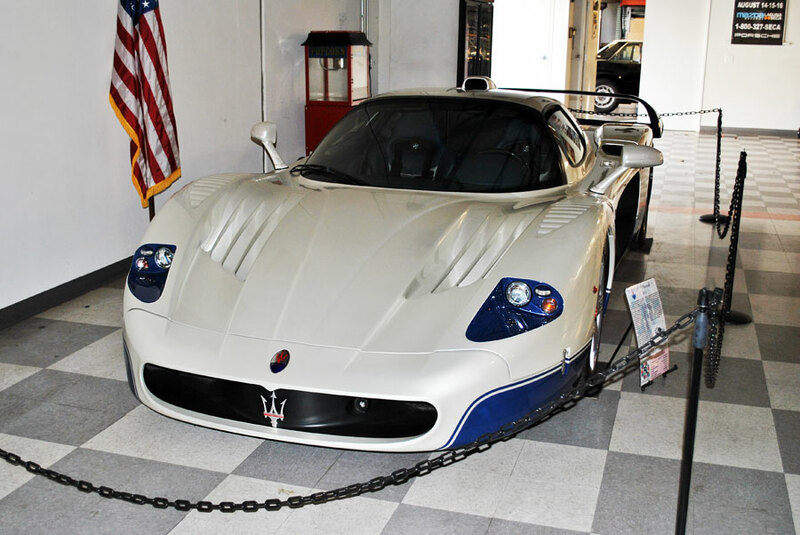 and the rare Quattroporte prototype of Juan Carlos, King of Spain. 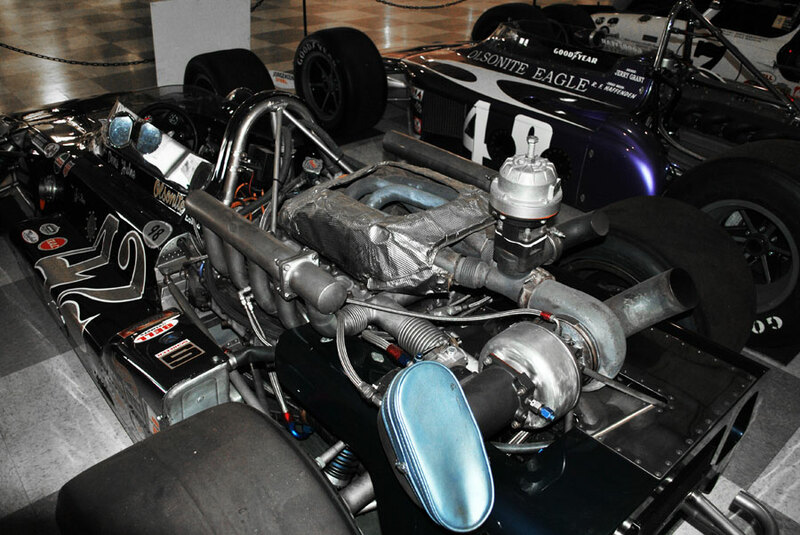 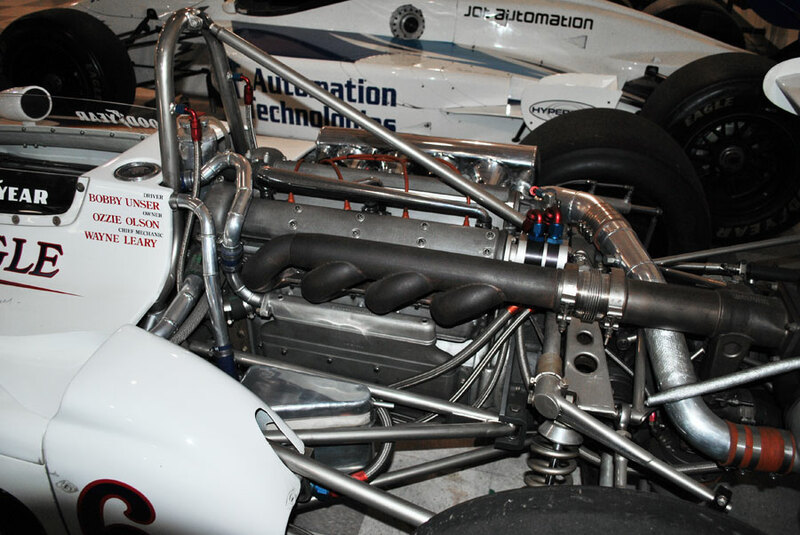 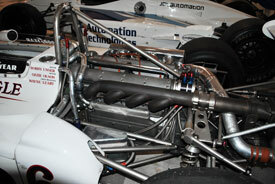 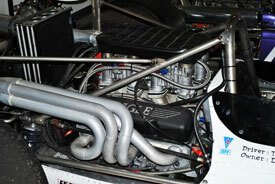 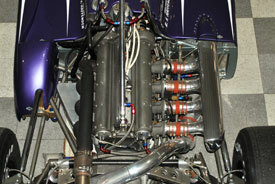 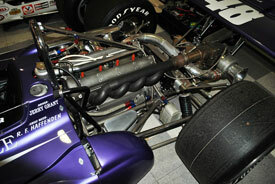 For engine enthusiasts the best part is the opportunity to get up close to the open wheel cars and study the engines which include turbocharged Meyer/Drake Offys, Gurney Eagles, and Ford and Toyota race engines. 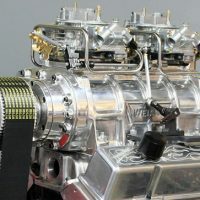 Modelers will love the opportunity to photograph details for their projects while technophiles will enjoy observing the myriad design details of the cooling and lubrication systems, exhaust systems, exotic induction systems and so on (see photos). The museum is open Monday through Saturday from 10.00 am to 4.00 pm.